How and What to Drink for Proper Hydration When You Exercise? Home > How to > How and What to Drink for Proper Hydration When You Exercise? About two-thirds of your body is made up of water and when you work out, you can lose quite a lot. The American College of Sports Medicine indicates that drinking water helps function of the body tissues and joints, the transportation of nutrients and regulation of our body temperature. But most people do not drink as much as needed when we exercise. Our body loses water through sweat to keep cool. It is particularly vital to drink enough water while exercising in order to ensure you are maintaining proper fluid balance in your body. You should properly hydrate before, during and after exercise. Here is how to get it right. How Much Fluid to Consume and When to Hydrate? You can extract some of the water from food, but generally speaking, you should drink 1.5-2 litres daily, that is about 6 large glasses of water. Increase this amount when you’re doing exercises to prevent dehydration. Do not let thirst to remind you to drink – if you’re thirsty, you’re already dehydrated. Equally, do not over-drink. If you drink too much fluid, your body can’t get rid of the excess through urination or sweating, by which sodium levels become dangerously low. The result, known as water intoxication or hyponatremia, can lead to headaches, confusion, seizures, vomiting, even death. Proper hydration is indispensable and beneficial to your athletic performance and health. You need to learn how to drink enough before, during and after exercises. 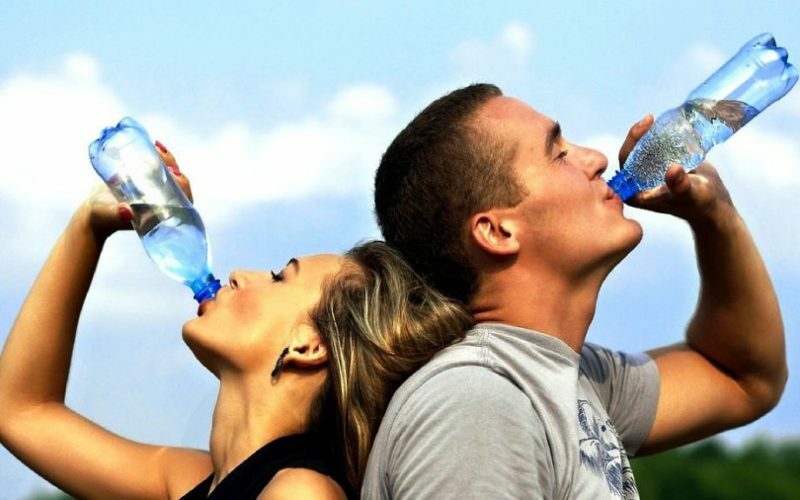 When preparing for an exercise, whether it is walking, biking, running or other outdoor sports, you should drink about 2 glasses of fluid 2 hours beforehand, which gives your kidneys enough time to process liquids and ensures you have sufficient time to empty your bladder before your workout. When you’re doing exercise, you need to drink 4 to 6 ounces every 15 to 20 minutes to well-hydrated your muscles. If you are taking up an hour-long walk or more intense gym activity, it is better for you to fill a water bottle with about 16 ounces for drinking. After your workout, it recommends you to keep drinking even if you do not feel thirsty any more. If you really want to be precise, try to weigh yourself before you start the workout and again when you finished. For each pound of water weight that you lose, you need to drink 20 ounces of fluid. What Kind of Fluid Do You Need? 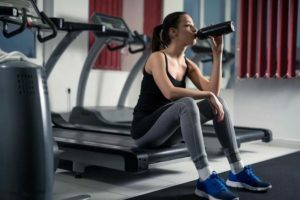 When it comes to choosing the good fluid for the workout, plain water is the first choice as it has no calories, is less expensive and more readily available than any other beverages. Hence if plain water is palatable fluid for you, that is the best choice. But if you’re doing more intense exercise which takes you more than 3 hours at a time, chocolate milk is a good recommendation to you, because it not only contains sodium and calcium which we lose when we sweat, but also get carbs and protein to give energy and repair any damage. If plain water or chocolate milk isn’t your favourite, sports drinks, coconut water or other beverages are also fine. You do not have to worry too much about electrolytes that can be provided by food. As stated above, plain water is the first choice for a workout. And fridge water filters are a good option for offering healthy drinking water, as well as providing chilled beverages. If you are a workout enthusiast, preparing one water filter at home is a smart choice. Not only the water filter replacement provides you healthy and freshly chilled water, but also save you from the hassle of rushing to the store to buy bottled water when you’re exercising. In the long term, the investment cost in these portable water filters and maintenance of this type of water filtration system is less expensive than bottled water. 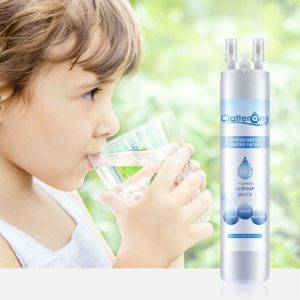 Clatterans provides a variety of fridge filters which are certified by IAPMO and tested to NSF/ANSI Standards 42, having been proven to be efficient in creating fresher, clearer and healthier water, as well as be capable of removing chemicals, contaminants, sediments, chlorine and other harmful impurities. Find out the proper model for your current refrigerator. .>>> Clatterans Refrigerator Filters. Plain water is great for workout enthusiasts, and remember to stay hydrated before, during and after your exercises. Purchase a refrigerator filter to help you perform better in the workout. Previous post What Symptoms and Signs will Occur When You’re Dehydrated? 1 How Much Fluid to Consume and When to Hydrate? 2 What Kind of Fluid Do You Need?